15 Cool Facebook Inspired Products and Designs - Part 2. 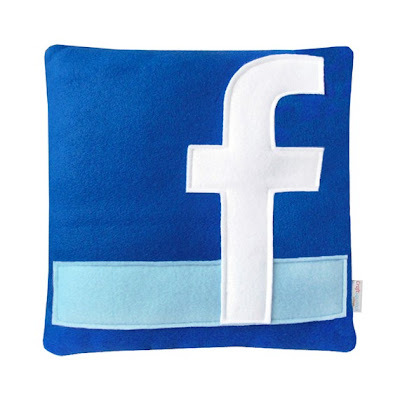 Collection of 'Cool Facebook Inspired Products and Designs' from all over the world. Zuckerberg Comic Book: It's a biographical comic portraying the life of Zuckerberg by Canadian comic production company Bluewater Productions. 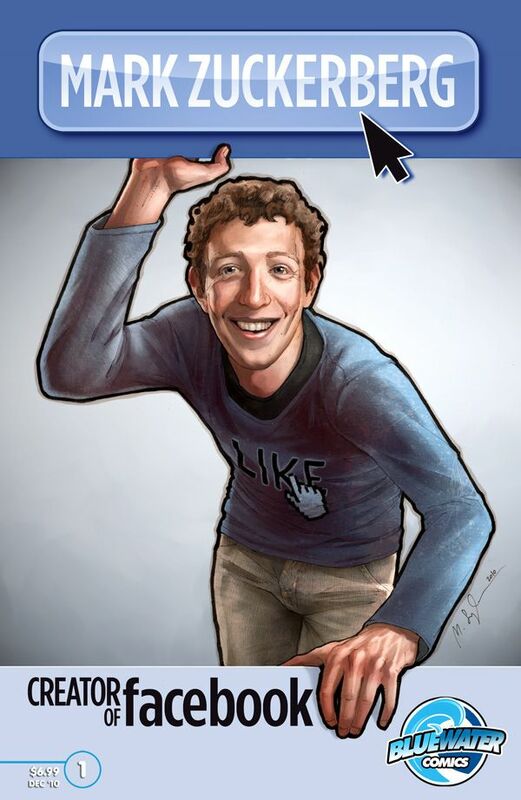 It's a 48-page issue, that journalist J Maida wrote S Field illustrated. 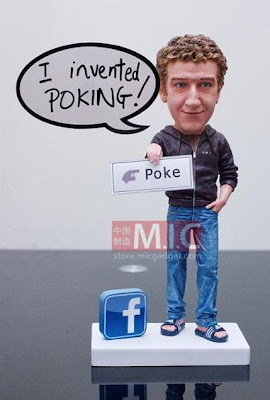 Zuckerberg Action Figure: It's the creation of C Chang and it is being sold in a limited run of 300. 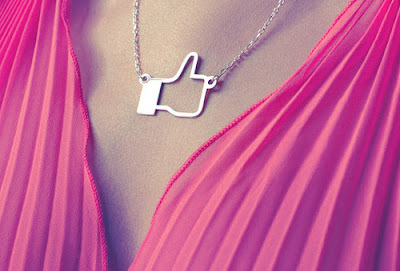 Facebook inspired iLike Silver Pendant: The handmade silver pendant is inspired from Facebook's "like" button! 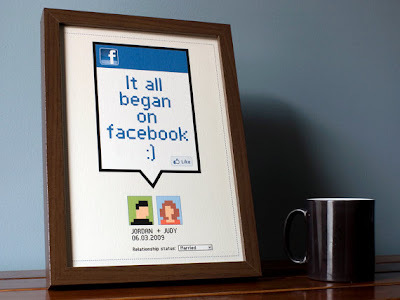 Facebook Framed Wedding Print: Each of this print features your version of "it all began", the wedding date -or any other significant date of your story- along with your names. 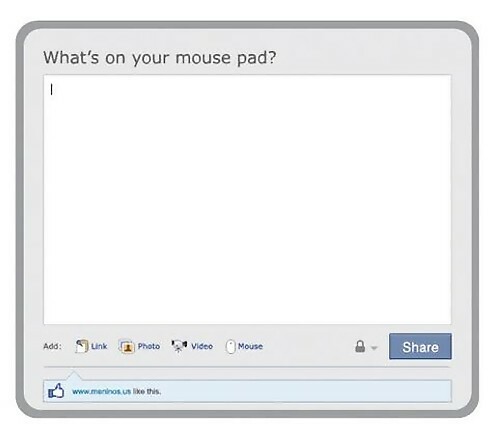 I Like You Facebook Pillow: This pillow takes its inspiration from the Facebook "Like" button. 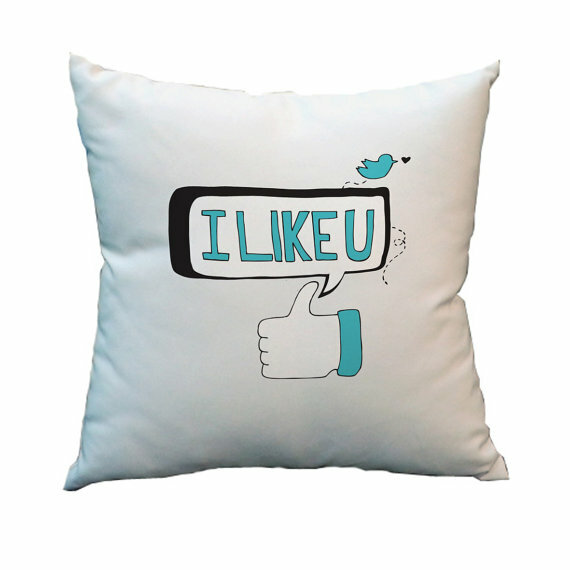 But on a closer look you will see a little Twitter Bird too. 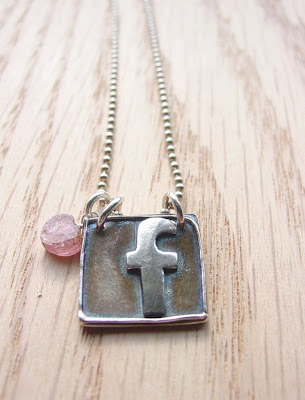 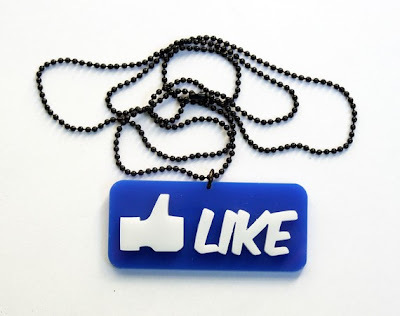 Like Necklace: This cool necklace comes in the shape of the widely used Facebook button. 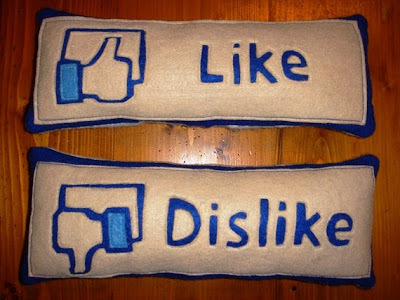 Like and Dislike Pillows: These cool pillows are handmade. 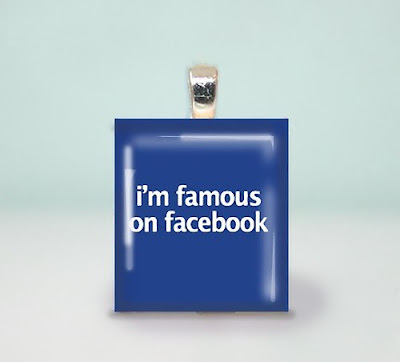 I'm Famous on Facebook Pendant: A cool pendant handmade out of old scrabble pieces. 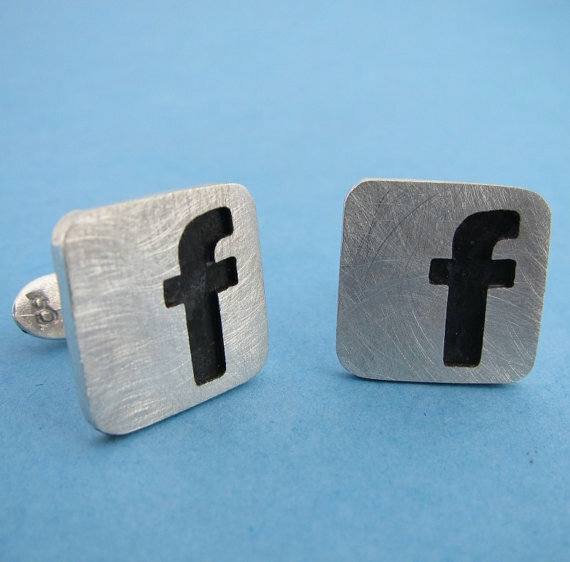 Sterling Silver Facebook Cufflinks: Now include some social media cufflinks in your collection. Facebook Pillow: This handcrafted pillow measures 12"x12". 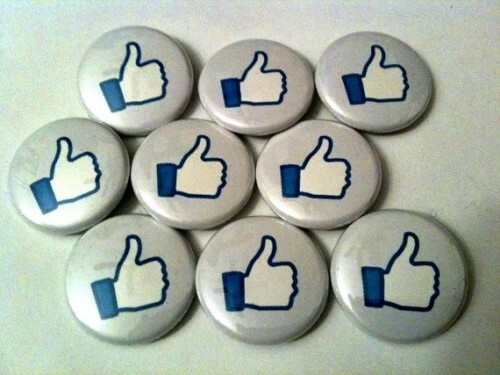 Facebook Like Pin Set: You can use these pinback buttons featuring the famous Facebook "like" button in many ways. 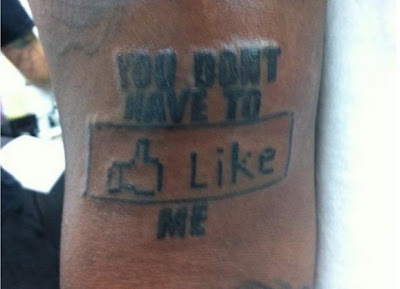 "Like" your friends by sharing a button with them! Don't miss to check out "Cool Facebook Inspired Products and Designs - Part: 1| 2."